Each Shelving End Promo Bay 1.4m High 370mm Base Shelf shelving unit can be configured to suit your requirements. Price shown is for a 665mm bay. 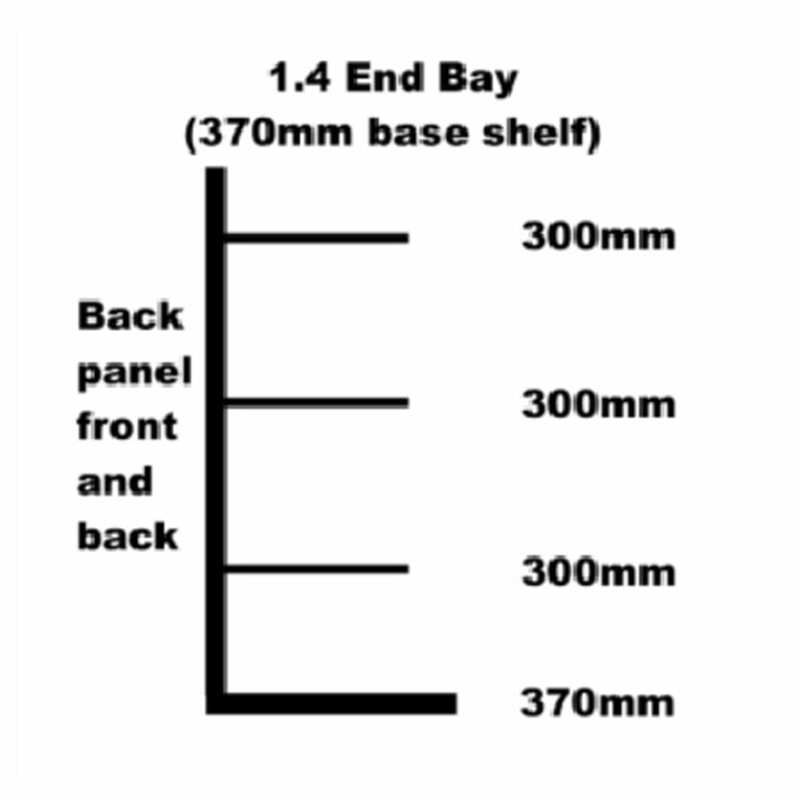 This bay also comes in 800mm, 1000mm and 1250mm, please select from the drop down menu below.